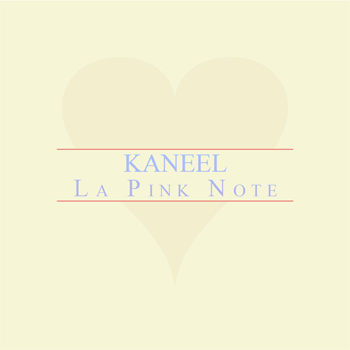 kaneel – la pink note. your daily dose of bluespoptronica!. F i n a l l y, after nearly two months of silence, we are back with a new release and as usual, it’s with a certain excitement. 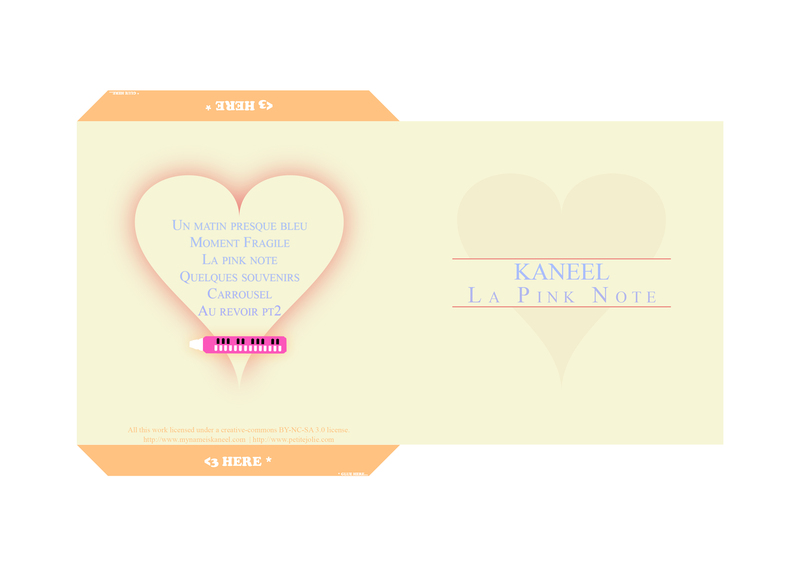 Not only because it’s been said months ago kaneel would come up with a release for petite&jolie, nor because this release is mixing two years old tracks from his grenier with fresh new materials but for the reason an album of kaneel has been released by Apegenine Recordings and at petite&jolie, we love it when our boys (and girls :p) are just collaborating with various people, on various projects, for the sake of making this world a cuter place!. So here we are, presenting to you this release of Guillaume Richard, dealing with nostalgy driven melodies and playfull clickbeats, soften by naivety and harden by the usual angst which define quite well Guillaume’s usual style. Going from blues to ambient, new folk to glitchtronica, mixing all of this with a twist and a tint of pop, kaneel tries his best to prove music is only a matter of sounds and not of genres, even a matter of emotions and damn, it’s all about a final result than a particular recipe to apply..
Once playing with knobs, then playing live his melodica, he’s been cooking this romantic and nostalgic release for your only pleisure, bringing new definitions to the sound of petite&jolie and we can’t do anything else than simply enjoy this.